The worrisome rise of ransomware doesn’t seem to be slowing as Microsoft recently announced the detection of self-propagating iterations of the malware. With this evolution, it is essential for SMBs to update their understanding of this security threat in order to properly protect themselves. 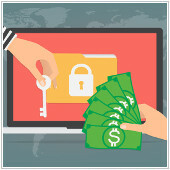 Keep reading to learn how ransomware is continuing to extend its reach.